NEW YORK — As questions open up for the session “One Entrepreneur’s Big Dreams to Disrupt the $60 Billion Real Estate Industry,” a woman walks up the mic with an unlit cigarette in hand and a furry hat. The woman, Svetty, has a Russian accent and asks why Lindsay McLean of Homelister is taking the jobs of all the brokers. She walks up to the stage and the session begins. Cristina Cote and Victoria Terri-Cote of TOWN Residential in NYC say that using laughter and comedy can really help to sell a home. Cracking jokes, playing funny cat videos or even hiring a comedian for an open house can not only help to break the ice, but it can make a memorable impression. But, you don’t have to be a professional comedian to make people laugh, they say. 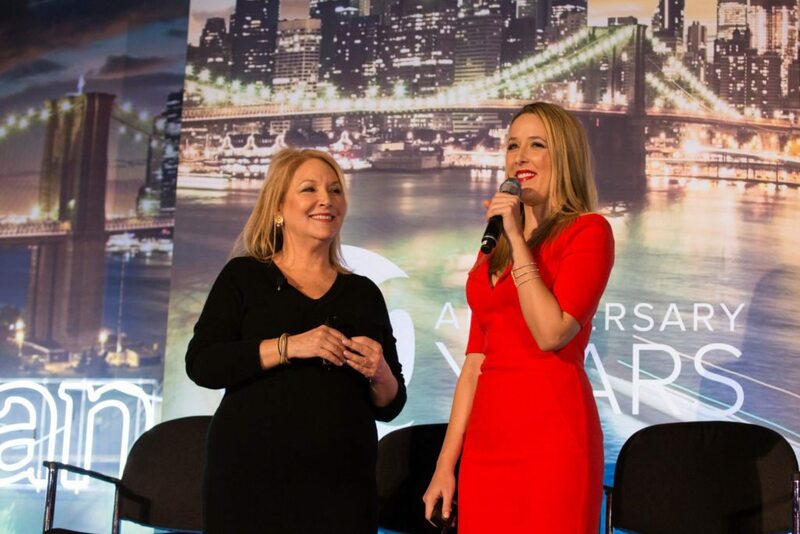 The mother-daughter duo suggests taking an improv or public speaking course to get out of your comfort zone and learn how to use laughter to close a deal. “Humor creates joy, and a client who laughs with you and sticks with you,” Cristina says.